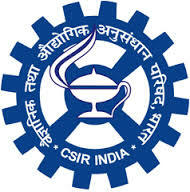 CSIR Recruitment 2019: Council of Scientific & Industrial Research (CSIR) / www.csirhrdg.res.in is conducting recruitment processes to fill 222 vacancies. As of now, there are twenty-two recruitment drives going on for Walk in for 40 PA Level I & II Posts, Walk in for 140 Skill Development Training Programme Posts and others. NEIST Recruitment 2019 - Walk in for 140 Skill Development Training Programme Posts in NEIST, Jorhat, Assam. Candidates are invited by North East Institute of Science and Technology, Jorhat to attend walk-in-interview to be held on 24, 25 & 26 Apr 2019 at 09:00 AM for 140 vacancies. NEERI Recruitment 2019 - Walk in for PDF, PA Posts in NEERI, Nagpur, Maharashtra. Candidates are invited by National Environmental Engineering Research Institute (NEERI) to attend walk-in-interview to be held on 22 May 2019 for 6 vacancies. NEERI Recruitment 2019 - Job notification for Project Assistant Level – I Post on a project entitled “Establishment of Medicinal/Nakshatra Plant Nursery” in NEERI, Nagpur, Maharashtra on Temporary Basis. Applications are invited by National Environmental Engineering Research Institute (NEERI) on or before 15 May 2019 for 1 vacancy. AMPRI Recruitment 2019 - Job notification for Student Internship on a project entitled “Morphology controlled copper sulphide decorated with graphene sheets as an electrode material for Naion capacitor in aqueous and non-aqueous electrolytes” in AMPRI, Bhopal, Madhya Pradesh on Temporary Basis. Applications are invited by CSIR - Advanced Materials and Processes Research Institute, Bhopal on or before 03 May 2019. NEERI Recruitment 2019 - Job notification for PA/ JRF/ SRF Posts in NEERI, Nagpur, Maharashtra on Temporary Basis. Applications are invited by National Environmental Engineering Research Institute (NEERI) on or before 08 May 2019 for 7 vacancies. CFTRI Recruitment 2019 - Walk in for Project Assistant Level II Post on a project entitled “Food and Consumer safety solutions (FOCUS)” in Department of Food Safety and Analytical Quality Control Laboratory, CFTRI, Mysuru, Karnataka on Temporary Basis. Candidates are invited by CSIR – Central Food Technological Research Institute to attend walk-in-interview to be held on 01 May 2019 at 10:00 AM for 1 vacancy. CFTRI Recruitment 2019 - Walk in for Project Assistant Level I Post on a project entitled “Investigating the structural basis for promiscuity in sugar nucleotidylyl-transferases family of enzymes: implications to glycorandomization” in Department of Molecular Nutrition, CFTRI, Mysuru, Karnataka on Temporary Basis. Candidates are invited by CSIR – Central Food Technological Research Institute to attend walk-in-interview to be held on 03 May 2019 at 10:30 AM for 1 vacancy. CFTRI Recruitment 2019 - Walk in for Project Assistant Level-I Post on a project entitled “To provide the technological knowhow for Gluten Free Hand Toast Pizza Base and Low GI Pizza Base” in CFTRI, Mysuru, Karnataka on Temporary Basis. Candidates are invited by CSIR – Central Food Technological Research Institute to attend walk-in-interview to be held on 01 May 2019 at 10:00 AM for 1 vacancy. NEERI Recruitment 2019 - Job notification for Project Assistant Post on a project entitled "Environment and Community Health Assessment Study in and around Rajpura Dariba Complex of M/s Hindustan Zinc Ltd,, Rajsamand District, Rajasthan" in NEERI, Nagpur, Maharashtra on Temporary Basis. Applications are invited by National Environmental Engineering Research Institute (NEERI) on or before 02 May 2019 till 05:00 PM for 1 vacancy. NEERI Recruitment 2019 - Job notification for Project Scientist Post on a project entitled "TAPFIRE- Technologies and Products for reduced emission fireworks-MLP- 126 or Lab Reserve" in NEERI, Nagpur, Maharashtra on Temporary Basis. Applications are invited by National Environmental Engineering Research Institute (NEERI) on or before 02 May 2019 till 05:00 PM for 1 vacancy. NEERI Recruitment 2019 - Walk in for Project Assistant Post on a project entitled "To work in ongoing consultancy projects of Hyderabad Zonal Centre" in NEERI, Hyderabad, Telangana on Temporary Basis. Candidates are invited by National Environmental Engineering Research Institute (NEERI) to attend walk-in-interview to be held on 09 May 2019 at 10:00 AM for 1 vacancy. CSMCRI Recruitment 2019 - Walk in for Project Assistant Posts on a project entitled “Technological convergence for sustainable production and utilization of seaweeds (TCSProUS)" in CSMCRI, Ramanathapuram, Tamil Nadu on Temporary Basis. Candidates are invited by Central Salt & Marine Chemicals Research Institute to attend walk-in-interview to be held on 06 May 2019 at 09:00 AM for 2 vacancies. CSIR Madras Complex Recruitment 2019 - Walk in for JRF & PA Posts on a project entitled “Electrocatalytic remediation for ammonia production at ambient condition: An efficient carbon-free hydrogen carrier for polymer electrolyte fuel cells” (GAP 38/18) & “Development and validation of 1k We Open cathode LT-PEMFC stack” in CSIR Madras Complex, Chennai, Tamil Nadu. Candidates are invited by CSIR Madras Complex to attend walk-in-interview to be held on 03 May 2019 at 09:30 AM for 2 vacancies. CSMCRI Recruitment 2019 - Walk in for Project-JRF Post in CSMCRI, Bhavnagar, Gujarat on Temporary on Co-terminus Basis. Candidates are invited by Central Salt & Marine Chemicals Research Institute to attend walk-in-interview to be held on 29 Apr 2019 for 1 vacancy. CSMCRI Recruitment 2019 - Walk in for Project Assistant Level – II Post in CSMCRI, Bhavnagar, Gujarat on Temporary Basis. Candidates are invited by Central Salt & Marine Chemicals Research Institute to attend walk-in-interview to be held on 30 Apr 2019 09:15 AM for 1 vacancy. CSMCRI Recruitment 2019 - Walk in for Project Assistant Level-II Posts in CSMCRI, Bhavnagar, Gujarat on Temporary Basis. Candidates are invited by Central Salt & Marine Chemicals Research Institute to attend walk-in-interview to be held on 07 May 2019 09:00 AM for 4 vacancies. CSMCRI Recruitment 2019 - Job notification for JRF Post on a project entitled "Mitigation of salinity stress tolerance in Sesamum indicum L. using a novel ABA-dependent SbMYB44 transcription factor from halophyte Salicornia brachiata” in CSMCRI, Gujarat on Temporary Basis. Applications are invited by Central Salt & Marine Chemicals Research Institute on or before 16 May 2019 for 1 vacancy. CFTRI Recruitment 2019 - Job notification for RA & PA Posts on a project entitled “Sustainable and cost effective production of stable anthocyanin in Saccharomyces cerevisiae by synthetic biology approach” in CFTRI, Mysuru, Karnataka on Temporary Basis. Applications are invited by CSIR – Central Food Technological Research Institute on or before 26 Apr 2019 for 2 vacancies. IHBT Recruitment 2019 - Walk in for Research Associate Posts in IHBT, Palampur, Himachal Pradesh on a Temporary Basis. Candidates are invited by Institute of Himalayan Bioresource Technology (IHBT) to attend walk-in-interview to be held on 30 Apr 2019 at 09:00 AM for 2 vacancies. IHBT Recruitment 2019 - Walk in for JRF, PA Level II Posts in IHBT, Palampur, Himachal Pradesh on Temporary Basis. Candidates are invited by Institute of Himalayan Bioresource Technology (IHBT) to attend walk-in-interview to be held on 30 Apr 2019 at 09:00 AM for 6 vacancies. CSMCRI Recruitment 2019 - Walk in for Project Assistant Level II Post in CSMCRI, Bhavnagar, Gujarat on a Temporary Basis. Candidates are invited by Central Salt & Marine Chemicals Research Institute to attend walk-in-interview to be held on 26 Apr 2019 at 09:30 AM for 1 vacancy. NEERI Recruitment 2019 - Job notification for 18 Project Assistant – Level II, Research Associate & Other Posts in NEERI, Delhi on Contract Basis. Applications are invited by National Environmental Engineering Research Institute (NEERI) on or before 22 Apr 2019 and Interview held on 07 & 08 May 2019 10:00 AM for 18 vacancies. Central Road Research Institute Recruitment 2019 - Apply Online for 41 Technician & Technical Assistant Posts in Central Road Research Institute, New Delhi on Regular Basis. Online Applications are invited by Central Road Research Institute (CSIR-CRRI) from 15 Mar 2019 to 16 Apr 2019 for 41 vacancies. CSIR UGC NET June 2019 - Apply Online for UGC NET JRF/LS June 2019. Online Applications are invited by Council of Scientific & Industrial Research (CSIR) from 25 Feb 2019 to 22 Mar 2019. IIIM Recruitment 2019 - Job notification for 11 Technical Assistant Posts in IIIM, Jammu. Applications are invited by Indian Institute of Integrative Medicine, Jammu on or before 25 Mar 2019 for 11 vacancies. NIIST Recruitment 2019 - Walk in for 18 Project Assistant II, Research Associate I & Other Posts in NIIST, Kerala on a Temporary Basis. Candidates are invited by National Institute for Interdisciplinary Science & Technology to attend walk-in-interview to be held from 15 Fe 2019 to 25 Feb 2019 for 18 vacancies. CSIO Recruitment 2019 - Walk in for 47 JRF, PA & Other Posts in CSIO, Chandigarh, Punjab Haryana on Temporary on Co-terminus Basis. Candidates are invited by Central Scientific Instruments Organisation (CSIR-CSIO) to attend walk-in-interview to be held on 07 & 08 Feb 2019 08:00 AM for 47 vacancies.